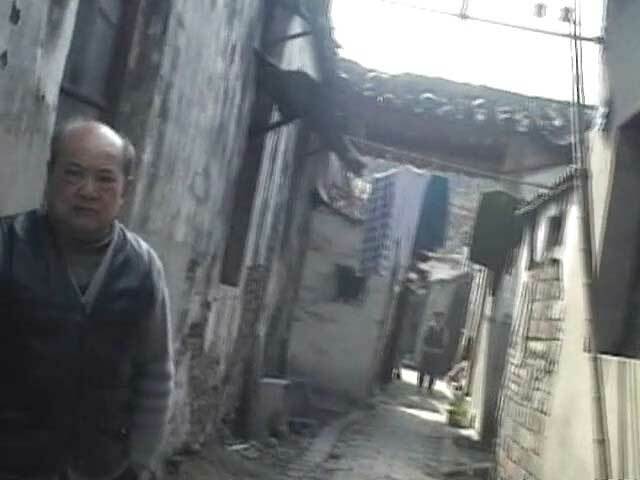 This is Mr. Deng from Suzhou, China here again to writes you this dairy again here. How are you now? One time the USA man writes to me and ask me the question ‘ Why you did not take the photo of the people?, always your photo are so without the people. 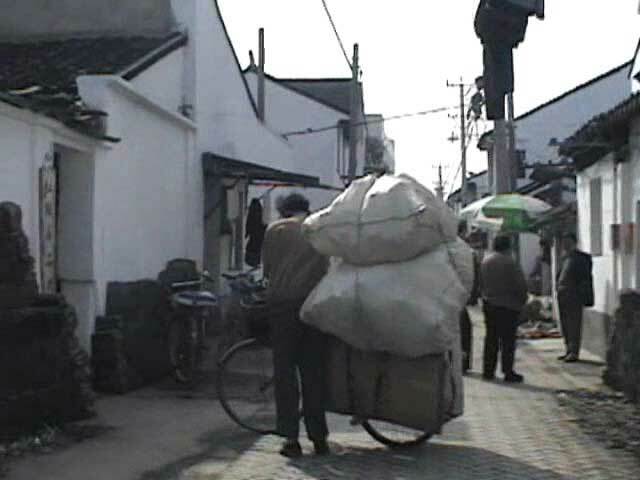 I thinked China have so many people but the photo you make is so, so, so… …’. So now I try to take the photo of more people. In China others do not like when you take the photo of them becase they will think you are strange to do that. ‘Why he take my photo? He is so sly!’ they will thinking and want to smash on you if you do that. The old people will think you are the government to critize them. One time the old woman chase me down the street and try to hit me with the mop becase she see me take the photo of her from far away. But I ride quicksome away on my bicycle but then I get lost in the small street and go back onto the same street as before! The old woman see me again and chase to me again! But I am to fast so I get away from her and never go to that street again or she will try to bung, bung on my head again if she see me!I hope you will not want to vomit when you see this photo becase it is not straite. I drop my old camera named Xinjingloob Digital to the rode and now it is strange photo and not so klearer. Next time I will borrow my uncle camera becase he is rich and have a new camera. The small street where you can buy many thing. 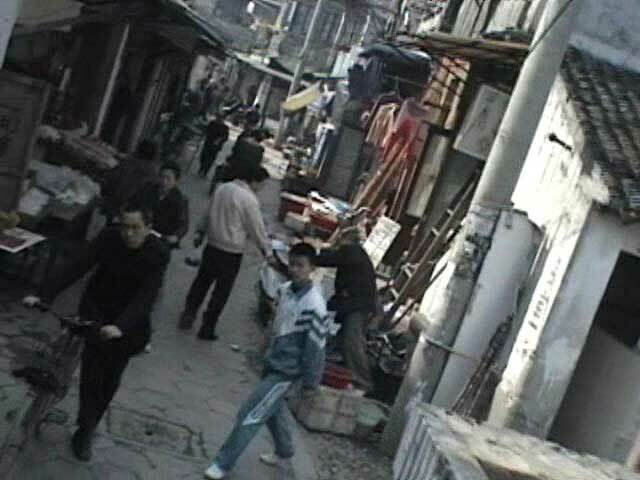 Please do not worry, the street is straite, it is not tilt. Only my camera make that look as that becase it is very troublsome camera. 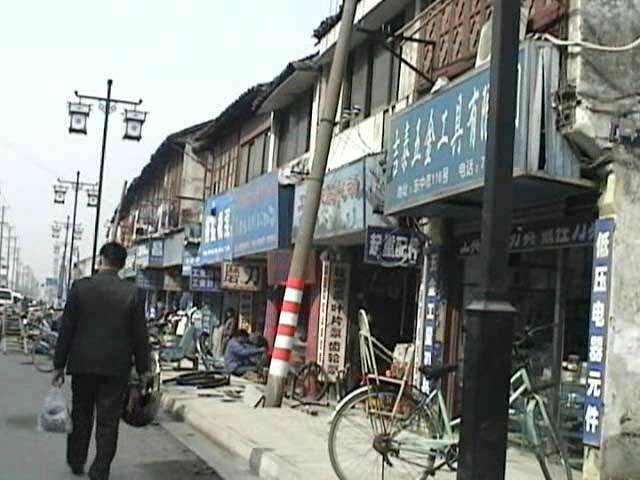 In China the store use the side walk to display the thing to selling. The side walk is not for walking on so we must walk onto the rode. The childrens are walking home from the school time. One of the student is see my camera. Under the bridge there is 2 boat that hit together and then many men come to stare at that. The boat women say many yellow words on each other so the men laugh to that. The boss of my company did not see me take the photo. He is angry becase the company need to make more money. All his hair fall out becase he is make the worry feelings every day. Even with no hair he still get a wife! to the factory to get the money. You should try to do this job in USA also then you will be richer! 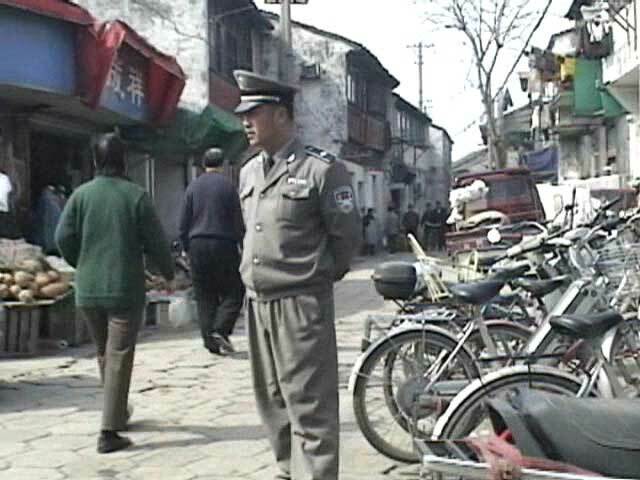 The local police man stand and guard the bicycle from the bad man that want to steel that. 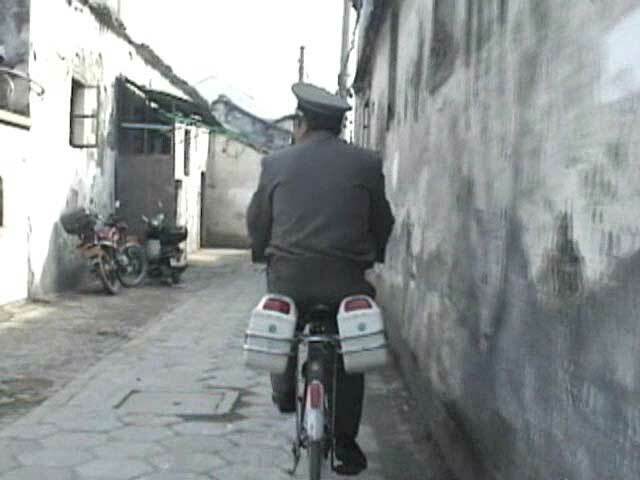 Now the police man is steel the bicycle! No I only joking onto you! This bicycle is belonging to him. I follow him on my bicycle when I take the photo of him. 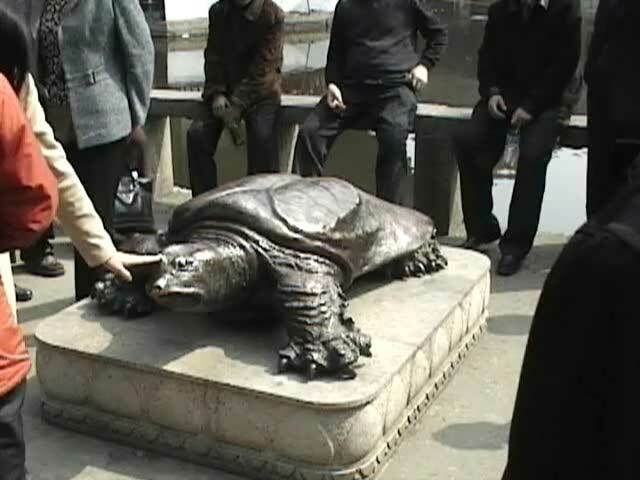 This statute of the turtle is very lucky and if you rub the head then you will get your wishing! So many people like to rub that to be lucky! Everyone should come to China to rub the head and then you will be so happy and richer! Here is the end of my writes again! Please try to be happy about every thing and not to worry or the hair will be more greyer. Please chat onto me at [email protected] I like to get the letter from the USA people and if there are the other country that can speak the English then also from that place to.